Writing can be a fun activity, especially nowadays when you can easily share all your works with people from all around the world! Blogging has turned into one of the most accessible and popular hobbies in the past couple of years, and it shouldn’t come as a surprise that so many people want to start their very own blog. However, starting a blog isn’t always as simple as you think, because if you want to do it right, there are several things that you have to consider. Picking a blogging platform, deciding your blog’s main theme, popularizing it and improving its quality are just some of the things that will take a lot of time and maybe money. If you are one of those people who don’t have a blog, but want to have one, then this post will help you a lot, because we’ll help you start your own blog. The post is split in three sections which will provide you with information about three of the most important things you need to know before starting a blog. Let’s start! Are you an expert in a specific area? For example, if you are a car fan and you have knowledge of the automotive industry, then starting a blog related with cars and motor vehicles can be a great idea. If your blog’s topic is “Cars”, then it will be fairly easy to find readers, because there are hundreds of other blogs, forums and Internet portals where you can find people who share the same interests with you. The most important thing you should remember when choosing your blog’s subject is that it needs to be something that intrigues you. After all, blogging is your hobby, so it must be an easy and enjoyable way to spend your time. There’s no point trying to write about subjects that you don’t like or don’t know anything about, because this way blogging will turn into a tedious job, and it is very likely that you’ll quickly lose interest in blogging. After you’ve decided what the main topic of your blog will be, it is time to set-up the blogging platform that you’ll use from now on. Naturally, WordPress is the most popular option, but there are many other good blogging platforms that aren’t so popular. 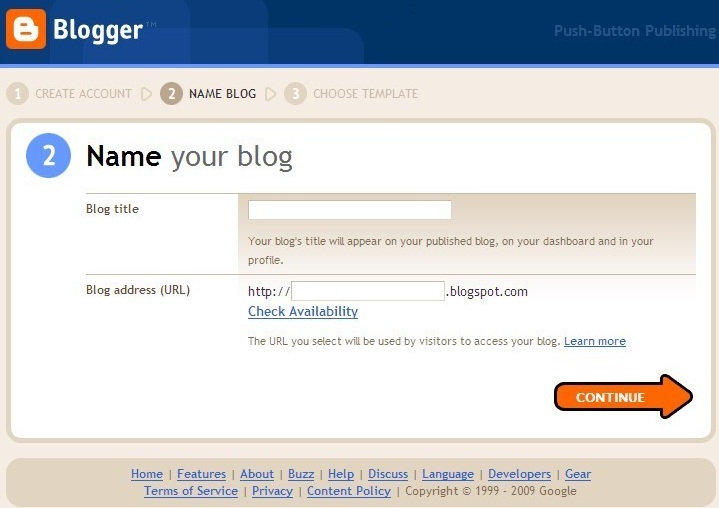 Blogger, Tumblr and IM Creator are just three of the free blogging platforms that you can use to host your blog. Blogger is completely free and when you register you’ll receive a free hosting account, free *.blogspot.com domain name and a ready-to-use blog. Keep in mind that Blogger is a platform that is very limited in terms of customization – there are several pre-made templates which you can’t edit, so this choice is not for you if you want a unique and modified blog. Blogger is a great platform if your blog posts consist of a lot of text and less images. Tumblr is another blogging platform that is preferred by many people, but in my opinion it isn’t the right choice if you want people to read your posts. Tumblr blogs focus on photography and images there is less text. Of course, if your hobby is photography, then a Tumblr blog will be a very reasonable choice. IM Creator is definitely the most reasonable choice if you want a fully customizable blog that can be modified to fit your requirements and needs. IM Creator is free to create websites, but there are also paid features that can further enhance your blog’s functionality. The main advantages of IM Creator is that there are many pre-made templates to choose from, the professional blogging platform provides more functionality than Tumblr and Blogger, and thanks to the amazing support team, you’ll quickly resolve any issues that you may face while using your blog. IM Creator’s paid version will provide you with unlimited hosting space, the ability to use your own domain, a customizable email account and an unlimited number of premium templates that you can install on your blog. A self-hosted blog is definitely the best choice, but only if you have the necessary knowledge to install, configure and run a self-hosted blog. This option allows you to use absolutely any blogging platform you want, and you can completely modify it according to your requirements and needs. Of course, self-hosted blogs are paid – you’ll have to pay for a hosting account and for a domain name. Apart from that, you’ll also need basic knowledge in FTP transfers, DNS configuring and other website-hosting related stuff. Therefore, self-hosted blog is the right choice only if you are an experienced Internet user. Domains are pretty affordable and a cool domain name will give your blog a more professional look. The ideal domain name is short, closely related with your blog’s subject and catchy. An example for a bad domain name is “johnsautomotiveblog.com”. If you use such a long domain, then it is very likely that some of your readers will forget your website’s name. On the other hand, a domain name such as “johnscars.com” or “johnsauto.com” is easier to remember, and gives you a higher chance that your new readers will quickly memorize the website’s address. 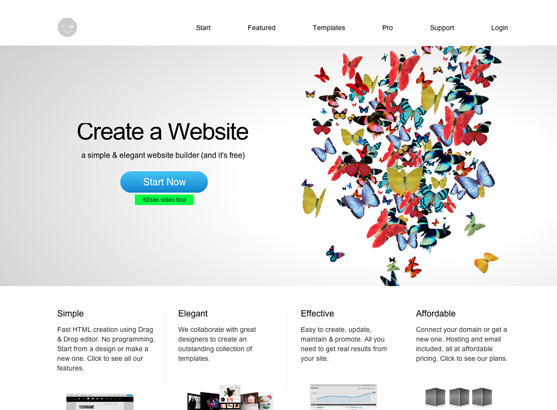 If you want to know more about website design, development, creativity and inspiration, visiting designermag.org can really provide you the best collection of design tips and ideas at one place.